Quarterback Austin Early flips the ball to running back Daviante Says (not pictured) for an 8-yard gain late in the second quarter. Tight end Robert Ursua runs for a first down on 17-yard completion from Early earlier in the quarter. Center Charlie Long blocks at the right. Yes Virginia, Palomar College has a football team. They’re called called the Comets. They play home games at the cozy confines of Chick Embry Field, Wilson Stadium at Escondido High School. The Comets made Halloween a very scary Saturday night for the Golden West Rustlers, ranked second in California and fifth in the nation for junior college football. This came a week after succumbing 34-24 to Orange Coast College, the 19th ranked team in the state. OCC and Golden West square off next week for the Southern California Football Association championship and a bowl game berth. The final score of 34-21 was about as deceiving as it could be on a night that the Comets out-gained the visiting Rustlers (8-0, 4-0 Southern Conference) 443 yards to 424, ran off 83 plays to the visitors’ 50 plays and had a 37-minutes to 23-minutes advantage in time of possession. The Rustlers scored twice in a five-minute span late in the third quarter to lead for the first time 21-14. But Comets struck again on the third Early TD pass that counted, hitting LaMont Chaney for 22 yards to tie the game at 21-21. Daviante Sayles (100 yards rushing on 18 carries) left the game with a hand injury, then returned to set up the Early-to-Chaney touchdown when he broke off a 41-yard run down to the Golden West 22. The Rustlers then won the game late in the fourth quarter when they twice got receivers open past Palomar’s defense on touchdown plays covering 42 and 57 yards. 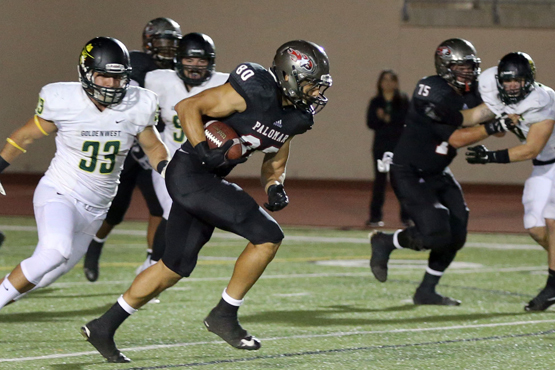 Palomar (3-5, 1-3) will host Fullerton next Saturday in a 1 p.m. game, then will visit Santa Ana in its 10th game the following Saturday afternoon. Palomar College is a member of the Southern California Football Association, which was created by action of the COA Board in April, 2007 as a conference that administers only the sport of football. The SCFA is composed of colleges located in the southern region of the state belonging to the Community College League of California, designated and approved by the COA/CCCAA. In its competitive grouping of the SCFA, Palomar has been assigned to the National Division, Southern Conference, which includes: Grossmont College (El Cajon), Fullerton College, Long Beach City College, Orange Coast College (Costa Mesa), Saddleback College (Mission Viejo) and Santa Ana College. Cal State San Marcos freshman Marc Toma was named the California Collegiate Athletic Association Golfer of the Week for the week of Oct. 21-27. The San Diego product was third overall and helped the Cougars to a first-place team finish at the CSUSM-hosted Fall Classic. Toma shot 71-66-71 for three round score of 8-under 208. His six-under 66 ranks as the fourth lowest in program history. 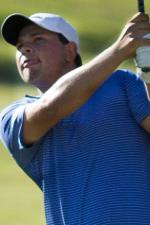 Overall, Toma shot seven-under in par 5 scoring and three-under in par 4 scoring. L to R: Joan Hynes, Lourdes Bourne, Renee Gerrick, Lisa Dee Farr, Kelly Villasenor, Elizabeth Dammeyer, Hitomi Wittl (Captain), Elvia Martinez, Barbara Roorda, Susan Bourcy, Patricia Sherman, Jeanne Marie Wood. 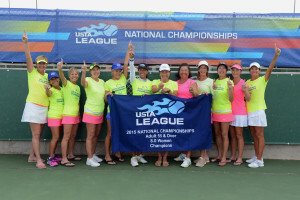 The women’s tennis team from Escondido, Calif., representing the USTA Southern California Section, captured the national title at the USTA League Adult 55 & Over 8.0 National Championships held at the Surprise Tennis & Racquet Complex in Surprise, Ariz. The Escondido team defeated a team from Lake Oswego, Ore., 2-1 in the Championship match. Earlier in the day, the Escondido team defeated a team from Mt. Pleasant, S.C., 2-1 in the semifinals. They advanced this far by winning their round-robin flight contested Friday and Saturday. The team is captained by Hitomi Wittl from Escondido. The team features: Joan Hynes (San Diego), Lourdes Bourne (Rancho Santa Fe), Renee Gerrick (Escondido), Lisa Dee Farr (Escondido), Kelly Villasenor (Del Mar), Elizabeth Dammeyer (San Diego), Elvia Martinez (Carlsbad), Barbara Roorda (Rancho Santa Fe), Susan Bourcy (Escondido), Patricia Sherman (San Diego), and Jeanne Marie Wood (Oceanside) and plays at Kit Carson Park.